Today’s marketers are constantly looking to adapt on the fly, remain data driven, and learn not only the most cutting-edge techniques, but also the most effective ones. Account-based marketing can help you achieve all three goals. If you’re a marketer looking to implement account-based marketing within your organization, and aren’t sure what you might need structurally in order to move in that direction, we’re here to help. Inbound marketing can be the demand generation engine behind your revenue team, but implementing an account-based approach can drive that machine to run at the next level. We’re not saying one methodology is better than the other, but if you can run your inbound AND account-based efforts in tandem, you’ll be running one powerful system. We won’t discuss how to execute ABM’s famously creative, “land and expand” style campaigns in this post, but we will set you up for success when looking to add ABM to your marketing strategy. The ideal customer profile can unequivocally be called the cornerstone of ABM. It’s different than a buyer persona, and is built on firmographics. But how do you get there? Analyze your current customer base. Which accounts have been your most loyal and have the highest lifetime value? What makes them so profitable for you? Examine the trends. Most companies have a general, qualitative idea of what makes an account a great fit for them, but we suggest taking this idea to the next level of granularity. Is your organization effective at closing startups? Do your products/services lend themselves to serving customers in the health care space? No matter where your marketing and sales teams stand currently, you’ll be faced with some adversity in driving adoption of an account-based approach. Establish a mindset across your company that focuses on firmographics (demographics about a particular company) rather than exclusively on persona-based pain points. Certainly don’t neglect where your leads are feeling pain — we still want to help them with those pains! Nevertheless, when adding ABM to your programs, direct focus toward customer profile realities like industry, company size, etc. from the earliest stages of the marketing process to help drive alignment. Are your business development reps targeting particular job roles in their outreach? Are they segmenting their leads by persona? If so, they’re not too far from having the mindset they need for ABM. Segment their leads by criteria that you'll find in your ideal customer profile! Define the ideal customer profile and distribute this profile in writing to the sales AND marketing teams. Be sure to take their feedback on this profile and give your teams a voice in the process. Transparency breeds cooperation as well as alignment. After all, both teams are focused on the same thing: bringing in new customers! Don’t fret! These are data points that you can have your team go out and get via LinkedIn and other online sources. Make the effort twofold: yes, you should be getting account data to create your ideal customer profile, but you should also be thinking about adjusting your marketing and sales processes. Your goal is to be able to continue to get this information — and report on it — going forward. Running inbound in tandem with ABM poses some database challenges. One such example is when a contact moves lifecycle stages. You'll need to ensure that the company lifecycle stage moves in parallel and then pushes out that same stage to all related contacts on that account. Tying your contacts to the appropriate account, and, more critically, to the right opportunity/deal, is critical in order to follow the touchpoints that marketing has hit on a given account. In the end, every executive team wants to see ROI. Keep a close hand on marketing spend when utilizing an ABM campaign, or you won’t be able to see the impact your marketing team has on actual revenue. Fortunately for marketers everywhere, we don't have to do attribution alone. Our friends over at Bizible provide the insights into the multi-touch models that many demand generation professionals desire — all while tracking to revenue. 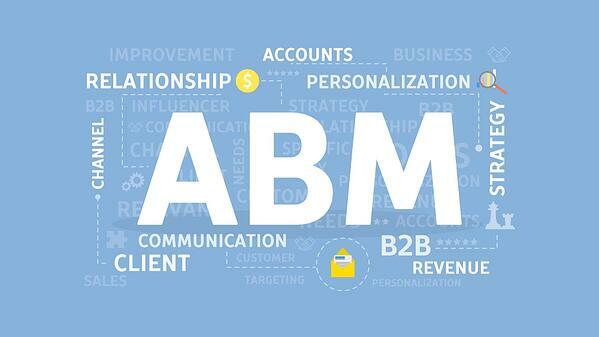 ABM doesn’t only impact your marketing team. When you implement ABM, keep an eye on your sales team’s close rates and sales-cycle length. Is the sales cycle slowing down because of targeted accounts making it down the funnel? Are you closing more deals because the account-based approach is more targeted? These metrics will provide justification for your account-based efforts, and further align marketing and sales teams who have clear, transparent and shared definitions of the ideal customer profile. Implementing ABM can seem rife with obstacles — especially if you're integrating ABM with inbound. But it's not all challenge after challenge. By addressing the four building blocks in this post, you'll set your teams off on the right course, and you'll be able to continue to diversify your marketing strategy while practicing organizational agility.